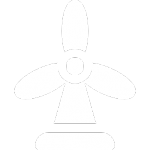 Meteolien ScopARL is an independent consulting engineering office dedicated to wind energy. Meteolien was created in 2005 with the willingness of developing wind farms in emerging countries. Meteolien developed an innovative methodology to assess and to model wind energy for those countries that do not have enough historical weather data. Meteolien deploys its expertise in wind studies, production assessment as well as electrical engineering and have also broadened its portfolio to include global services of feasibility studies and technical due diligence, to offer its clients a fuller turnkey service. Today, Meteolien can boast a team of specialized engineers and is continuing its steady growth, meanwhile building close partnerships with international or local independent experts and engineering offices sharing its vision of a professional and ethical approach and affirm its scientific and innovative direction. Meteolien offers all its services in 3 languages (English/French/Spanish). You want to develop a wind project ? Meteolien will calculate the potential of the wind resource on-site and the annual electrical production of your project from wind data. Before choosing and installing a wind turbine, you have to study your implantation site. Today, numerical simulation gives excellent results in a very short time and with low costs. The methodology developed by Meteolien has been validated during a R&D partnership with Météo-France. 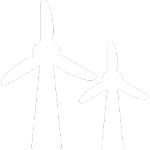 A measurement campaign is the next step for a wind project which has been pre-validated. Meteolien will follow the measurement campaign and use the measured data by correlated it with long-term data and/or data from the numerical simulation in order to calculate your wind potential with the lowest possible uncertainties. L'agence de l'eau Adour Garonne (Adour Garonne Water Agency) leads numerous project regarding decentralized international cooperation, projects for which were made productive partnerships with MetEOlien about technical energy studies. Official launching of the « French Efficiency – Clean Energy » regional Club for the Middle East in Abu Dhabi Sustainability Week. On the occasion of the Abu Dhabi Sustainability Week and the World Future Energy Summit in Abu Dhabi, the “French Efficiency – Clean Energy” regional Club for the Middle East will be officially launched on Monday 16th January 2017.